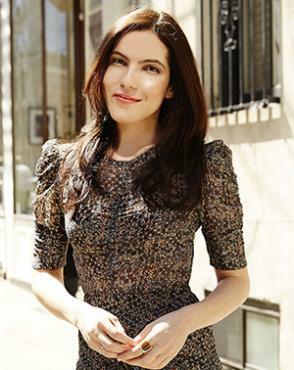 Sloane Crosley is the author of The New York Times bestselling essay collections, I Was Told There’d Be Cake, a finalist for The Thurber Prize for American Humor, and How Did You Get This Number, as well as Look Alive Out There, and the bestselling novel, The Clasp. She served as editor of The Best American Travel Writing series and is featured in The Library of America's 50 Funniest American Writers, The Best American Nonrequired Reading, and others. Her work has appeared in Esquire, Elle, GQ, Vogue, The New York Times Magazine, The New York Times Book Review, The Guardian, New York Magazine, The Believer, Vice, and on National Public Radio. She was the inaugural columnist for The New York Times Op-Ed "Townies" series, a contributing editor at Interview Magazine, and a columnist for The Village Voice and The New York Observer. She is a contributing editor at Vanity Fair. She lives in Manhattan. 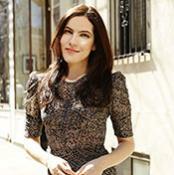 "Sloane Crosley: By the Book"
"Sloane Crosley: How I Write"